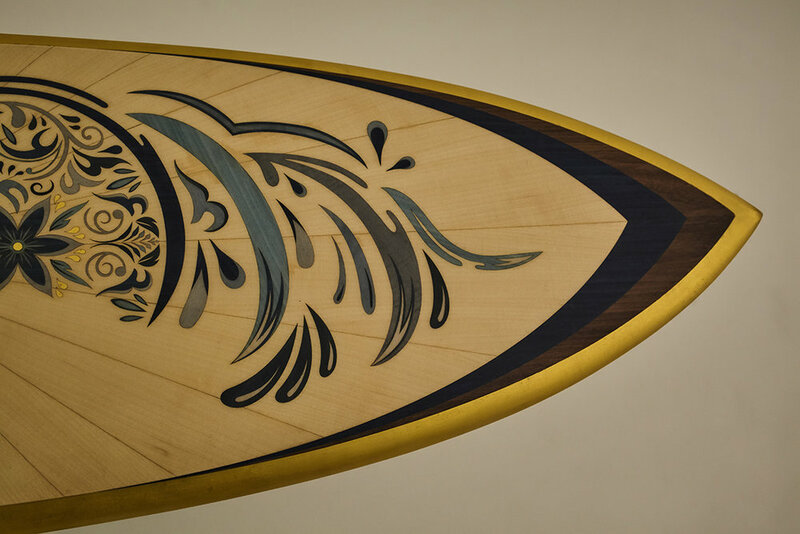 This surfboard is made out of Ceiba and Cedar. 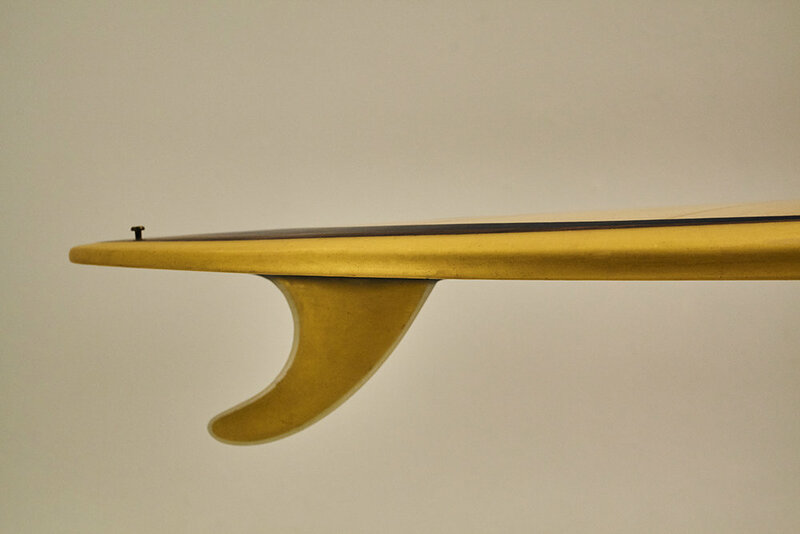 It was shaped in Puerto Escondido by Mexico’s legendary shaper Ody Ordaz. 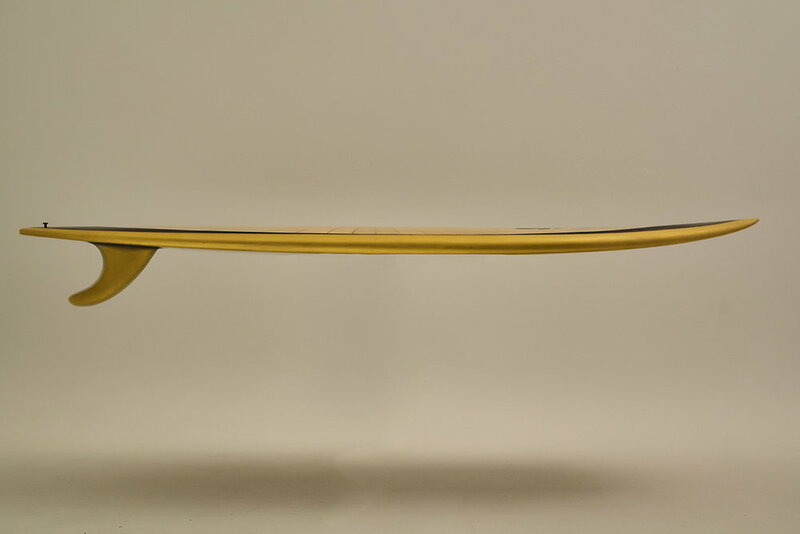 It features 24 carat gold leaf rails, detailing and fin. 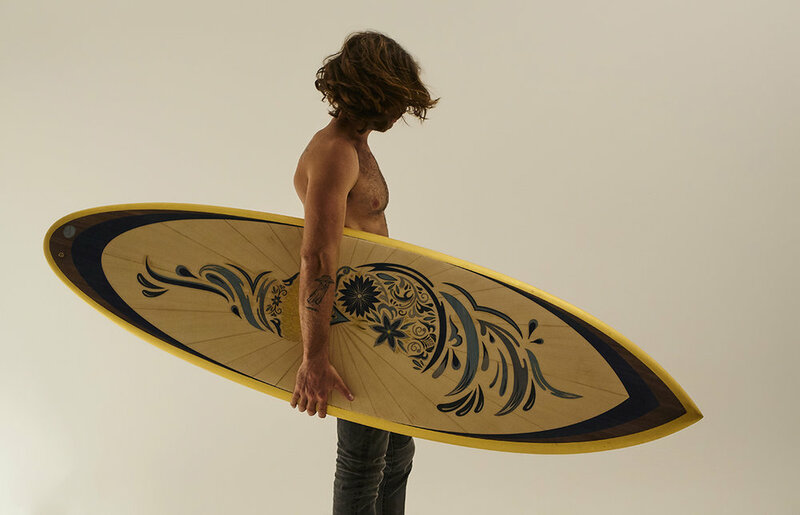 The deck features marquetry incorporating a combination of natural and dyed veneers including Ripple Sycamore, Birds eye Maple and several different Dyed American Tulip veneers amongst others.